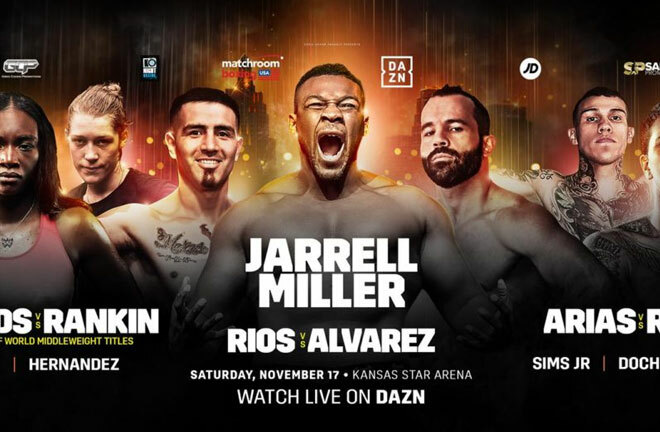 Eddie Hearn brings his Matchroom USA stable to a new venue this Saturday, as the Kansas Star Arena hosts big time Boxing. DAZN is the place to see the action in the USA, and Sky Sports will televise live in the UK. Jarrell “Big Baby” Miller tops the bill as he attempts to move a step closer to a maiden World Title shot. The unbeaten Romanian, Bogdan Dinu is the man in Miller’s way this weekend. Here I preview the card. 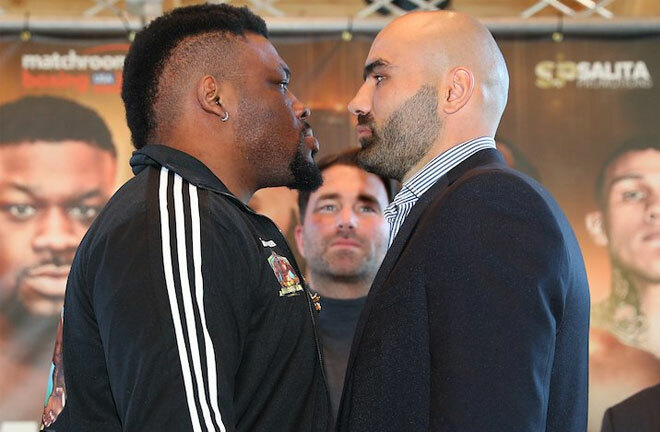 Brooklynite, Jarrell “Big Baby” Miller marks time before what he hopes is a shot at the Heavyweight Title in 2019 this Saturday in Kansas. Following WBA “Regular” Champion, Manuel Charr’s positive drug test, and subsequent stripping of the Title, Miller was expected to be cajoled into position for the vacant belt. This hasn’t materialised quickly enough, and instead, Miller will meet the unbeaten, but padded 18-0 Romanian, Bogdan Dinu. Miller has been a professional since 2009, with his sole blemish on his record a four round draw with Joey Dawejko in January 2013, after being deducted two points for pushing. Miller has risen up the pecking order though in the division in recent fights. 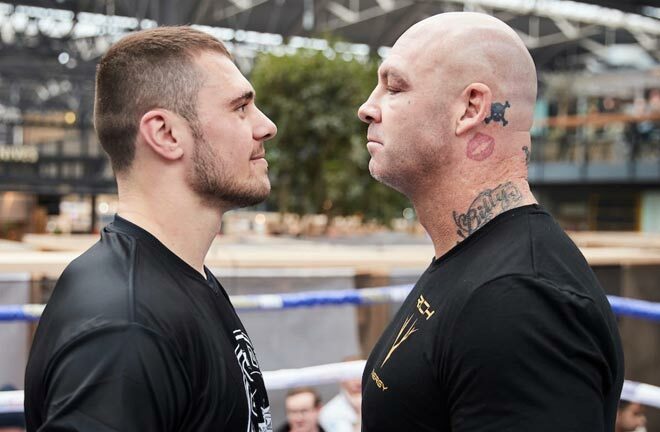 He has beaten gatekeepers and fringe contenders in Gerald Washington (RTD 8) Mariusz Wach (TKO9) Johann Duhaupas (unanimous), and in his last fight, he knocked out a faded former WBC Title challenger in Thomas Adamek in two rounds on a DAZN show in Chicago at the start of October. 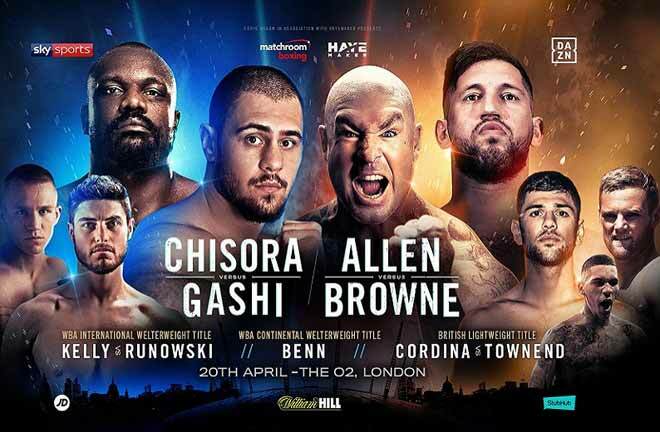 Saturdays assignment is designed to keep Miller’s name fresh on people’s lips as Anthony Joshua looks for a April 2019 dance partner at Wembley Stadium. Bogdan Dinu has only fought in his native Romania and Canada, and turned over in April 2008. He has beaten the usual course of journeymen, including Kertson Manswell in 2014 (TKO2) and in his last fight Marcelo Nascimento was stopped in three rounds of an eight rounder. He hasn’t been past the sixth round in any contest he has had, but I don’t expect him to trouble Miller this weekend. The pick is for Miller to attack in rugged bursts, and score a stoppage win before halfway. The fan friendly Gabriel Rosado (24-11, KO14) appears on the card in his first outing under the Matchroom banner. He meets Luis Arias (18-1, KO9) in a ten rounder at Middleweight. Rosado is 3-6 in his last nine fights (3-7 if you include a defeat to J’Leon Love in 2013, later changed to a no contest) but is rarely in a dull fight. 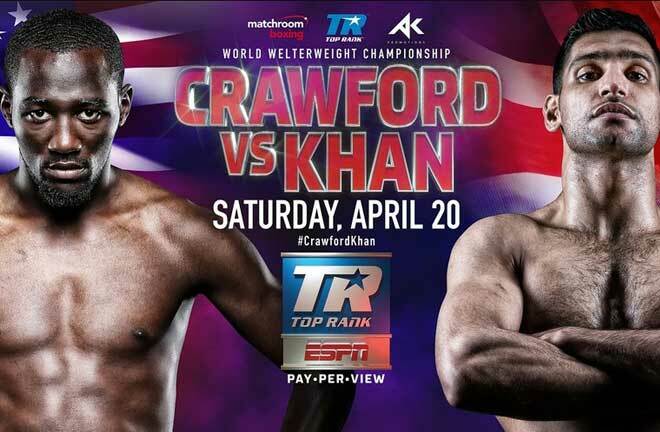 He is a two time World Title challenger, losing in efforts against Gennady Golovkin for the WBA and IBO Titles in January 2013 (TKO7) and to Peter Quillin in a WBO challenge (TKO10) nine months later. He has also lost unanimously to Jermell Charlo, been stopped by David Lemieux in ten, and outpointed by Willie Monroe Junior, and Martin Murray. He last boxed in October last year, stopping Glen Tapia in six. 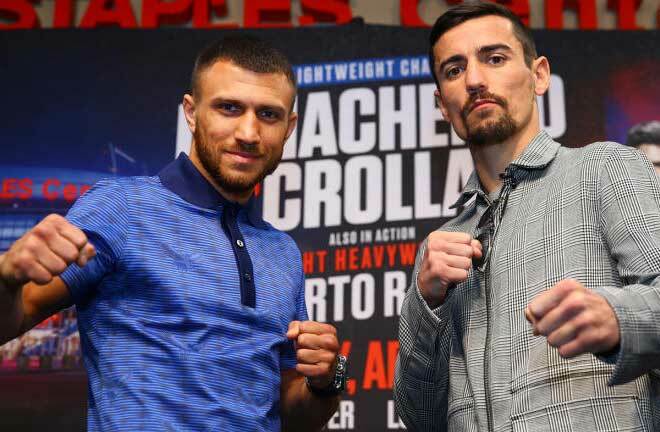 Arias is coming off a first career loss in his last fight, a wide points defeat at the hands of new IBF Champion, Daniel Jacobs in November last year. I favour the fresher Arias to box his way to a comfortable enough points win following some early Rosado pressure. Glasgow’s Hannah Rankin (5-2, KO1) gets a dream shot at the WBC, IBF and WBA Female Middleweight Titles when she takes on pound for pound star, WBA & IBF Champion, and double Olympic Champion, Claressa “T-Rex” Shields (6-0, KO2). 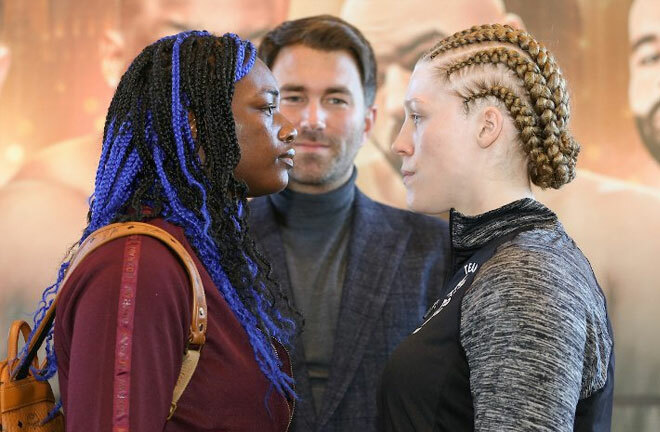 Shields will start as a massive favourite for the contest, but Rankin will take heart from Shield’s last outing, where she was floored in the opener against Hanna Gabriels in June. She regained control to take a wide points win, capturing the Titles after dropping down from Super Middleweight, where she also captured the WBA and IBF Titles. Rankin came up short last time out in a challenge for the WBA Title, losing a points decision against Alicia Napoleon in Uniondale. I favour Shields to box her way to a wide win on the scorecards, without facing too much trouble from the Scot along the way. 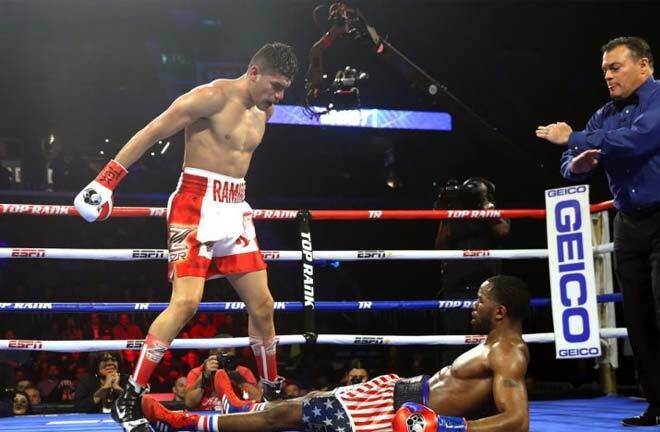 Elsewhere, Brandon Rios (34-4-1, KO25) returns after a stoppage defeat against Danny Garcia, when he meets Ramon Alvarez (27-6-3, KO16) over ten at Super Welterweight.